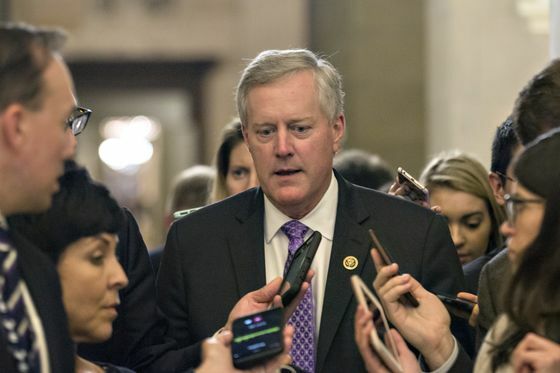 Freedom Caucus Chairman Mark Meadows spoke up Tuesday during the first meeting of the newly Democratic-controlled House Committee on Oversight and Reform -- his first joint appearance with Ocasio-Cortez, one of Congress’s newest, most liberal members. The Oversight panel will lead House Democratic investigations of the Trump administration, and partisan tensions are expected. But before the meeting, Meadows of North Carolina made a point of cordially welcoming Ocasio-Cortez of New York and other freshman Democrats. Soon, though, Meadows and other Republicans were telling Chairman Elijah Cummings of Maryland that members should get more than three days’ notice to attend questioning of witnesses by Democratic staff lawyers. Meadows said five days was better, particularly for lawmakers who live far from Washington. Ocasio-Cortez wasted no time in offering her first remarks on the committee. “I don’t believe we need five days” if lawmakers are doing their jobs, she responded. 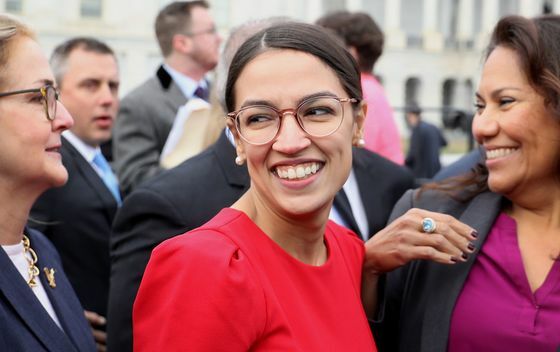 Ocasio-Cortez then asked Cummings whether Republicans gave members ample notice for such matters during the last congressional session, when they ran the committee. “No,” said Cummings, of Maryland. “OK, thank you,” said Ocasio-Cortez. In the end, Cummings said he’d work to give committee members five days’ notice as much as possible, although he said that sometimes the staff and lawyers must pursue investigations efficiently when members are at home or traveling.